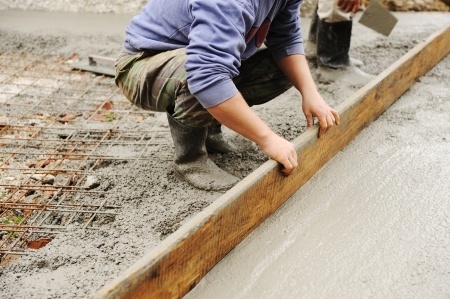 McNeil Engineering » Concrete always comes up big when you need it to. Here’s how Germany is taking advantage of this helpful substance. Concrete always comes up big when you need it to. Here’s how Germany is taking advantage of this helpful substance. If you’ve been following the news at all lately, then you’re aware of the immigration crisis currently taking place in the E.U. Germany is doing everything it can to provide adequate housing for thousands of migrants before the coldest part of the winter hits. Here’s a look at their unusual plan that just might work. Over 938,000 immigrants have fled to Germany over the course of the last few months, which has left officials with a problem to solve: How to house all of these tired, and weary travelers. The solution? Retired German Engineer, Peter Goergen decided to start pre-fabricating easy, one-room homes out of concrete, and so far it seems to be working. Concrete isn’t just a cost-effective building material, it also captures heat, is relatively insulated and dries up any humidity that might come from inhabitants regularly exhaling. Each structure costs less than 15-thousand dollars to make and can be erected in almost no time flat. Metallic shipping containers are also being sought after, but so far the demand is far greater than the actual supply of these necessary housing officials. While these concrete homes aren’t especially glamorous, they can house up to eight people comfortably and will help keep these immigrants comfortable during the coldest part of the year.